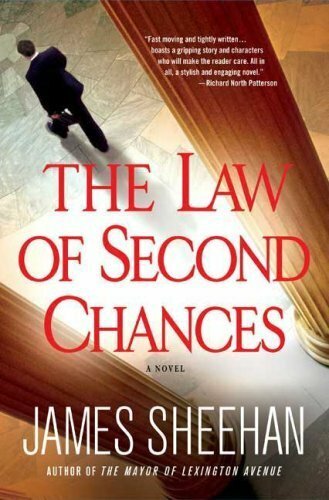 Order ‘The Law of Second Chances’ by James Sheehan from Amazon.com by clicking on the book cover above. I met James Sheehan at a St. Petersburg Times Festival of Reading event back in 2005. I was there promoting my new biography of Will Eisner and he was riding a wave of excellent reviews for his first novel, The Mayor of Lexington Avenue. As we got talking, however, we realized we had met before – through our dogs. Turns out, Jim and his wife literally live around the corner from me. I walk my dogs several times a day, and his dogs had figured out a way of tunneling under the fence. They didn’t know how to get back once they were loose, however, so my wife and I returned them to the Sheehan’s yard more than once over the years. They’ve got a new fence now, so that doesn’t happen as often. A few weeks back, Jim and I met up again. He was on his way to South Carolina for a big booksellers event to launch his second novel, The Law of Second Chances. Jim gave me a copy to read and I knew it was time to get my neighbor on the show. James Sheehan returned to Mr. Media for a 2013 video interview!